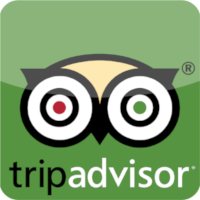 "Cwt Grwydd was the perfect place to stay for my family: perfectly private and peaceful with the sights and sounds of nature all around." 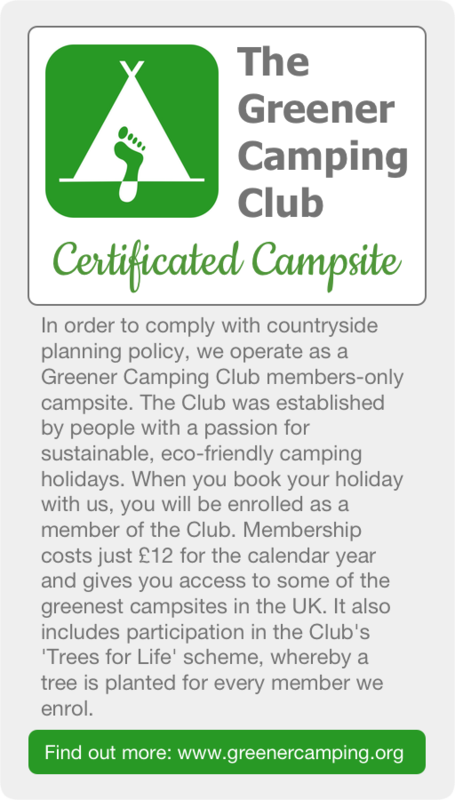 Our unique site is available for hire by one group of 2 - 6 people at a time. 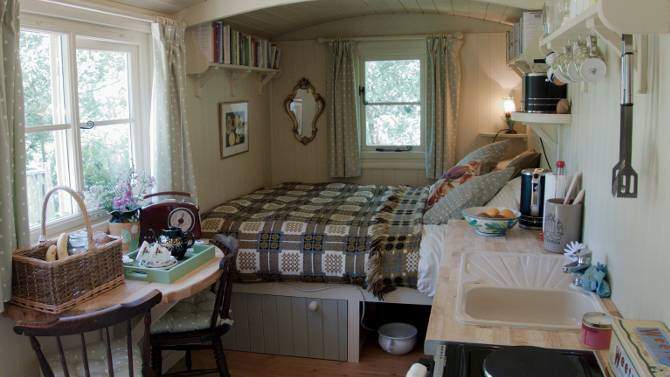 You will have exclusive use of all facilities including the meadow and river. 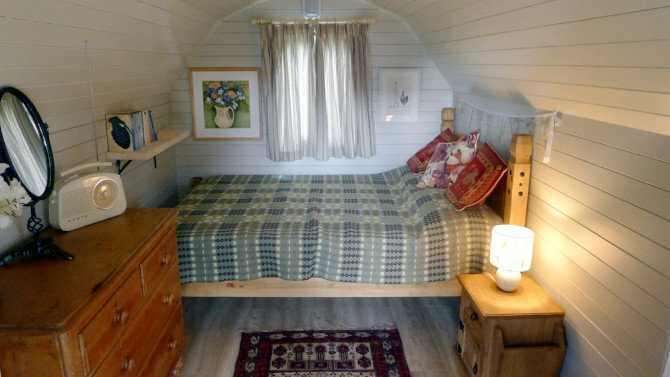 New to Cwt Gwyrdd this summer is our new "barn style" pod, a cosy space for two people. 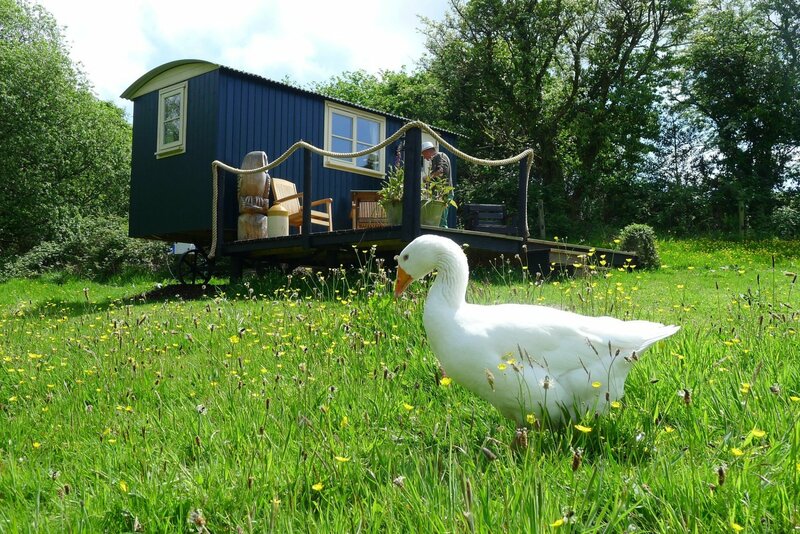 Situated at the end of a winding path in a beautiful riverside position in North Pembrokeshire, this unique glamping accommodation offers privacy for a single group of up to 6 people at a time. 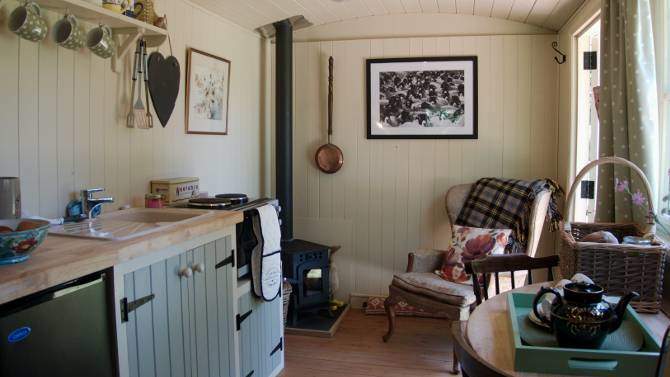 We provide a Shepherd’s Hut, a Pod and a large Bell Tent, each of which accommodates up to 2 people. Whether you are a couple, a group of friends or a family, this is an ideal flexible solution for your holiday. 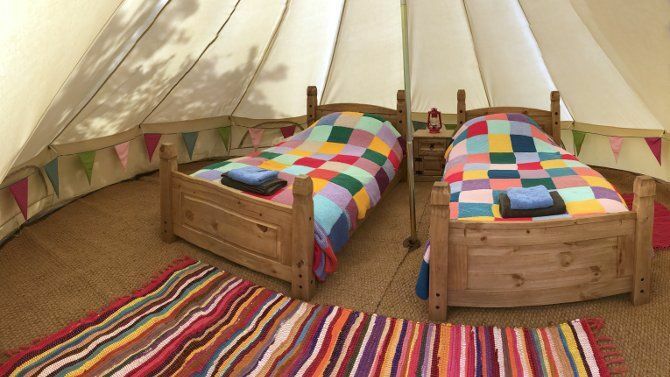 We are inside the Pembrokeshire Coast National Park within easy reach of the coast, the Preseli Mountains and a variety of outdoor activities for young and old adventurers. Wake up to the sound of birdsong and the relaxing River Bannon. 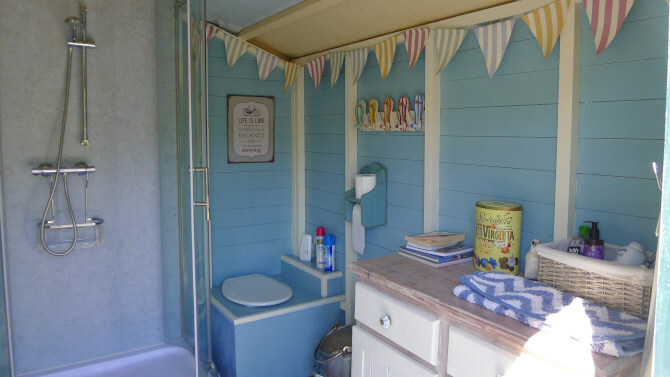 The Shepherd’s Hut Glamping site is located at Cwt Gwyrdd, a 6 acre smallholding in the village of Pontygasier, in the foothills of the Preseli Mountains in Pembrokeshire. 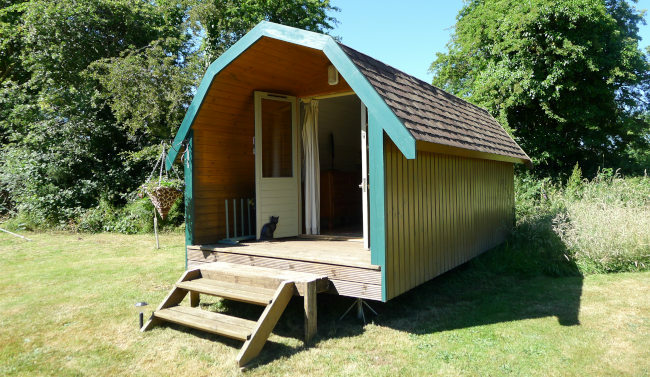 Enjoy magnificent walking, cycling, horse riding and the Pembrokeshire coast is a 10 minutes drive away with the famous Pembrokeshire Coastal Path and a choice of sandy beaches caves and harbours to visit.